2016 U Sports all-Canadian Stephanie Norlander scored two goals in leading the five-time reigning national champion UBC Thunderbirds to a 3-2 victory over the No. 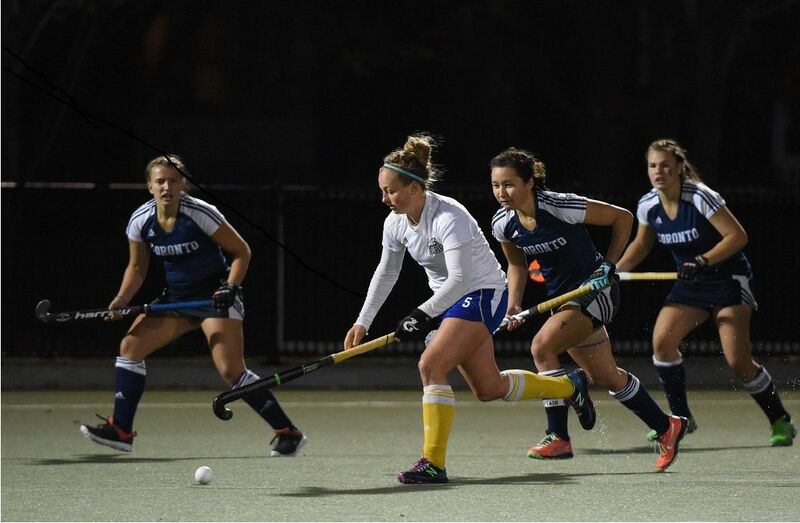 2 seed and host Toronto Varsity Blues in the second round robin game of the 2016 CIS field hockey championship on Thursday night at Back Campus Fields. The win improves UBC to 26-8-4 overall versus Toronto on the national stage, with the T-Birds going undefeated (4-0-2) in their last six meetings with the Blues. It was the second Canada West victory of the day as the No. 3 Victoria Vikes defeated the No. 4 Guelph Gryphons, 4-2, in the first round robin game of the day. A native of North Vancouver, Norlander scored the first two goals of the game in the first and 17thminutes en route to UBC’s tournament-opening victory. After Norlander opened the scoring in the first minute, the Blues had a good chance to even the game off a penalty corner three minutes later, but T-Birds goalie Rowan Harris came up with a big save on U of T all-Canadian Alison Lee. Norlander put the T-Birds up by two in the 19th minute and UBC carried that 2-0 lead into halftime. 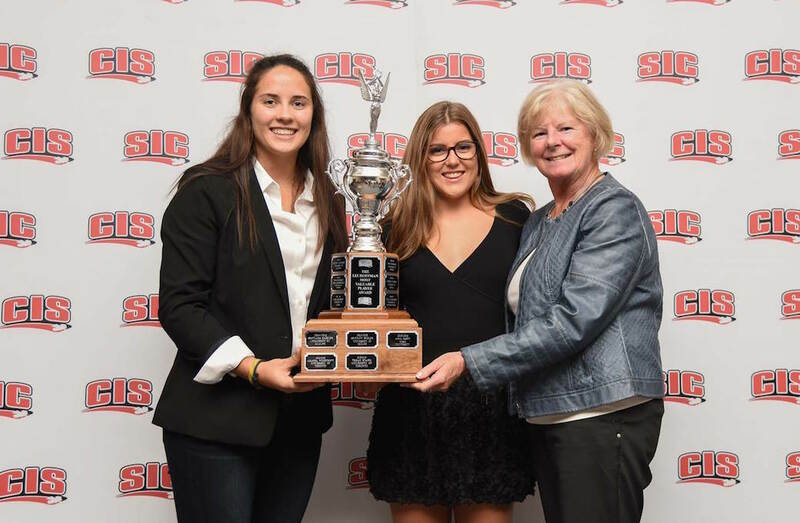 The Blues began to pressure and finally got on the board in the 42nd minute as 2016 U Sports rookie of the year Rachel Spouge scored off a penalty corner to bring the game within one. The Thunderbirds responded though and regained a two-goal cushion when third-year midfielder Emily Martin scored off a penalty corner in the 48th minute for what would be the eventual game-winner. UBC continued to pressure and Blues rookie goalie Elizabeth O’Hara came up with some great saves to keep the game close. U of T was able to bring it back within one with a goal from third-year forward Morgan Sleeth, but that was all the Blues could muster in the one-goal loss. Next up for the Varsity Blues (0-1) is a match with the Guelph Gryphons (0-1) in a repeat of last Sunday’s OUA final tomorrow at 6:30 p.m. The Thunderbirds (1-0) will take on the Vikes (1-0) in an all-Canada West battle at 4:00pm. Both games will be streamed live on SportsCanada.TV.